1/11/93 Raw, First Monday Night Raw!!! *Koko B. Ware vs. Yokozuna- The first match on the greatest wrestling show in America, Raw. *Bobby Heenan Interview- Says he is going to debut The Narcissist (Lex Lugar) at the Royal Rumble. *Marty Jannetty vs. Scrub- Shawn Michaels calls in during the match. *Royal Rumble Report- Another preview for the Royal Rumble. *Ric Flair/Mr. Perfect Interview- Ric Flair challenges Mr. Perfect to a loser leaves town match next week on Raw. Mr. Perfect accepts. *Career Match: Ric Flair vs. Mr. Perfect- One of the most important matches and greatest ones on Raw. This match is almost half of this episode. *Brutus The Barbar Beefcake Interview- Crowd goes crazy for this guy. *Giant Gonzalez vs. 3 Scrubs- One of the scrubs is Louie Spicolli. *Ted Dibiase vs. Brutus The Barber Beefcake- Brutus’s first match since having his face crushed in a parasailing accident in 1990. *Bam Bam Bigelow vs. Scott Taylor- Check out Scotty Too Hotty before he was that. Looks so small and innocent. 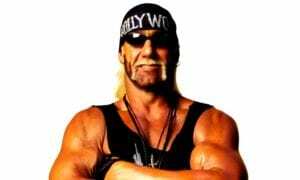 *Vince McMahon/Hulk Hogan Interview- Hogan says to everyone, “believe in Hulk Hogan” and that he will have an announcement to make next week on Raw. *Shawn Michaels and The Beverly Brothers vs. Tatanka and The Nasty Boys- Shawn Michaels comes out to his music with his voice singing which he would continue to come out to forever. *Hulk Hogan/Brutus The Barber Beefcake/Jimmy Hart Interview- Crowd goes nuts as Hogan makes his Raw debut. The three form a trio as the Mega Maniacs. *Doink vs. Koko B. Ware- After the match, Doink puts a pie in the face of Bob Bartlett. *Lex Luger vs. Scrub- As Luger walks to the ring, you see a fan flip Luger off right in his face. *Vince McMahon Impersonator- All I can say is ???? 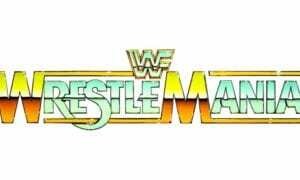 *Yokozuna vs. Randy Savage- I like the idea of renaming the Raw before WrestleMania as “March to WrestleMania”. It adds to the hype. *Jerry Lawler vs. Jim Powers- Lawler challenges Randy Savage to a match. *IRS vs. Scott Steiner- IRS and Ted Dibiase get into it with The Beverly Brothers. *Luna Vachon/Sensational Sherri Interview- The two have a huge brawl after. *Friar Ferguson vs. Scrub- Friar’s debut. This guy looks horrible. *Money Inc. Interview- Beverly Brothers come out and they brawl just as the show ends. *Bret Hart Interview- Vince McMahon introduces Bret as the people’s champion. *Lex Luger vs. Crush- The WWF is really pushing the angle that Luger has a metal plate with screws is his forearm which is why he is knocking people out. *Smoking Gunns Promo- The Smoking Gunns are coming to the WWF! *Shawn Michaels Interview- Shawn has been calling Vince McMahon “Vin Man” since these days. Huge chant from the New York crowd saying, “Shawn is Gay”. Mr. Perfect comes out and Shawn runs away after getting a cheap shot in. *Tatanka/Bam Bam Bigelow Highlights- Highlights of the two brawling are shown from a recent WWF event. *IC Title Match: Hacksaw Jim Duggan vs. Shawn Michaels- Pretty good match thanks to Shawn Michaels. *Doink vs. Kamikaze Kid- Sean Waltman looks like such a jobber here as all he gets in are a couple of elbows. His tights say “L Kid” for Lightning Kid. *Shawn Michaels/Mr. Perfect Brawl- They brawl outside the arena as Hennig tosses Michaels on top of Howard Finkle’s new car (as he would mention in his book). You can hear the police sirens just as the intro to the show starts. *Smoking Gunns vs. Two Jobbers- Billy and Bart Gunn’s WWF debut. *Shawn Michaels/Marty Jannetty Interview- Jannetty returns to challenge Michaels to an IC Title Match and Michaels has no choice but to defend it later on in the show. *Doink vs. Mr. Perfect- Doink is playing games the entire match. *Hulk Hogan/Jimmy Hart Interview- Why isn’t Hogan ever on Raw??? *Money Inc. Interview- They offer a fan to come in the ring and shine their shoes for $100. A kid comes in and shines their shoes but Money Inc. only gave the kid $30 bucks and tell him to get lost. Typical funny Dibiase segment. *Adam Bomb vs. Scrub- Johnny Polo (Raven) ,debuts Adam Bomb (Wrath in WCW). *Bam Bam Bigelow Interview- He is going to get an IC Title match next week on Raw. *Shawn Michaels vs. Scrub- Shawn is the new IC champion again and he brings out for the first time on Raw, his new bodyguard, Diesel. *Rick Steiner and Billy Gunn vs. IRS and Fatu- Interesting match with a mix of partners from tag teams but this is a small preview of their big 4 way tag match at the next King of the Ring. *Razor Ramon Interview- It seems to have become Monday Night Ramon lately. Razor really wants 1-2-3 Kid in the ring. *Owen Hart vs. Scrub- Owen Hart returns. *1-2-3 Kid calls in and accepts Razor’s match proposal next week. *Steiner Brothers vs. Two Scrubs- Steiner’s come out as the new tag team champions. *Mr. Hughes vs. Scrub- I don’t see what is so special about Hughes and why they pushed him so much. *Stars and Strips Challenge Highlights- Many wrestlers and other athletes try to pick up and slam Yokozuna but no one can. No one until Lex Luger steps up at the end and slams him! This turned Luger face and gave him his title shot at Summer Slam. *Samu vs. 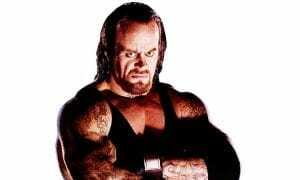 The Undertaker- Undertaker’s return. *Mr. Fuji/Yokozuna/Crush Interview- Crush asks for and receives a WWF Title shot next week on Raw. *Money Inc. Interview- They put down Razor again and this time, Razor Ramon comes out and says he can’t be bought, attacks Money Inc., and then leaves. After months of the fans trying to cheer for Razor but Razor being heel, he finally turns face here. Ted Dibiase then challenges The Kid to a match. *Men On A Mission vs. Two Scrubs -Their debut! They get a good reaction from the New York Crowd. *Bastion Booger vs. Scrub- This guy is gross. *King’s Court With Tiny Tim- Interesting Segment. *Doink Interview- He says he has a surprise for the Macho Man. *Bam Bam Bigelow vs. Bret Hart- Jerry The King Lawler interviews Bret Hart’s parents during the match and says a few funny lines as only he can. Classic segment. *Doink vs. Scrub- Doink challenges Randy Savage to a match and he accepts. Oh Yeah! *Lex Luger Interview- As only Vince can, he pushes Luger down our throats with stories about his past. *Bobby Heenan/Jim Cornette Interview- Cornette’s WWF debut, I believe, as he comes out with a ugly pink suit. *Lex Luger Interview- Ever since his slam on Yokozuna a few weeks ago, he has become the WWF’s top face. *Bushwhackers and The Macho Midget vs. Blake Beverly, Brooklyn Brawler, and Little Lou *Yokozuna/Lex Luger Contract Signing- The two will meet at Summer Slam. *Heavenly Bodies vs. Two Scrubs- Their debut. *Bam Bam Bigelow vs. Scrub- Crush calls in but doesn’t speak to the Macho Man. *Bret Hart Interview- Discusses what happened at SummerSlam in his match with Jerry The King Lawler. *Shawn Michaels Stripped of the IC Title- HBK has his title taken away due to a steroid controversy. There will be a battle royal next week on Raw for the vacant title. *Ludvig Borga vs. Scrub- His debut. *Diesel/Mr. Perfect Interview- They yell at each other about whether or not Shawn Michaels’s suspension should be lifted or not. 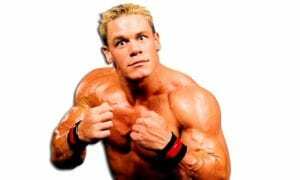 *Double J’s First Promo- “That’s J-E-Double F, J-A-Double R-E-Double T, That’s Double J, Jeff Jarrett. Remember that name, you’re going to be hearing a lot of it.” Double is coming! *Crush/Randy Savage Interview- Crush yells at Savage for not having his back some time ago. Randy Savage talks to Crush and they shake hands, looking like they made up. Crush then gets in some cheap shots on the Macho Man and Yokozuna comes out and he and Crush celebrate together while continuing to attack Savage. *Crush vs. Scrub- Crush begins his heel journey with face paint. 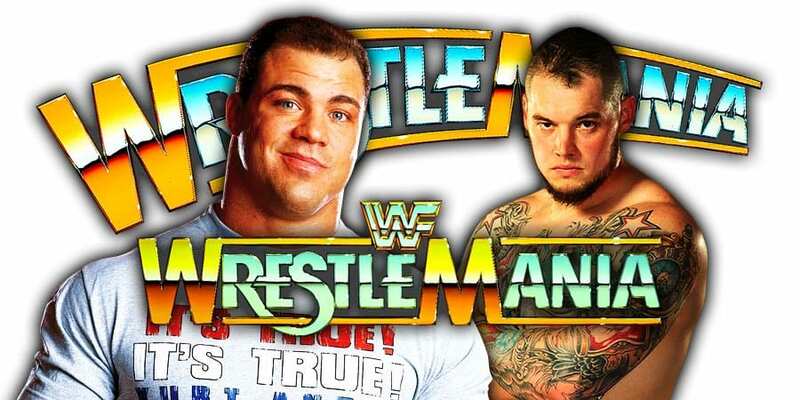 *Diesel vs. Scrub- Diesel’s first singles match on Raw. *Randy Savage Interview- Savage is on the phone. *Crush/Randy Savage Brawl- Vince McMahon tries to keep Savage back as Crush comes to the ring for a match but Savage pushes Vince down and attacks Crush. *Lex Luger/Undertaker Highlights- From superstars about the upcoming Survivor Series. *Shawn Michaels Segment- Michaels does a parody of going to Bret Hart’s house and meeting his parents. 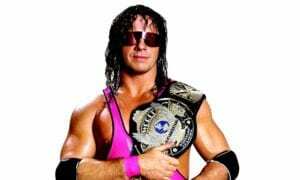 *Vince/Lex Luger/Bret Hart Interview- Bret Hart wins the 1993 superstar of the year award. Lex comes in second, which explains why so many people don’t remember 1993. *Crush vs. Scrub- Randy Savage calls in again. *Gorilla Monsoon/Bobby Heenan Segment- Monsoon kicks Bobby out of the WWF. *1-2-3 Kid/Razor Ramon/Shawn Michaels/Diesel Highlights- I guess I could just call this “Kliq Highlights”. *Owen Hart Interview- Interview from Superstars where he challenges his brother, Bret Hart to a match. *Double J vs. Scrub- Jeff Jarrett’s debut! *Yokozuna and Lex Luger come out and Luger slams Yokozuna again, well, kind of but better than others can slam him. *Owen Hart/Bret Hart Interview- Highlights from their Superstars interviews where Bret replies by saying that he will never fight his brother. *Lex Luger vs. Barry Horowitz- Jacques of the Quebecers asks why does Luger put all that oil on his body like Bret Hart? *Doink vs. Scrub- Doink brings out Dink for the first time on Raw. 01. Steiner Brothers vs. Money Inc.